Brief introduction to the review ! When I started sewing, I was overwhelmed with the options at hand. I had started with a hand-me-down mechanical Singer that predated my existence. But because I wanted to get with the times and take on bigger projects that demanded heavier fabrics. So in my search, I came across computerized models under Singer and Brother that intimidated me with their multiple features. 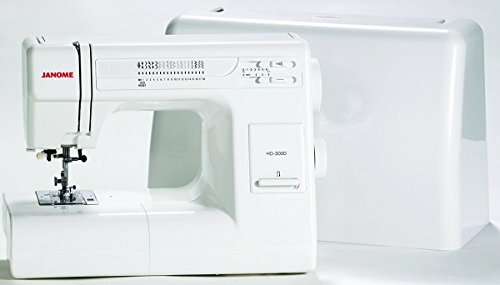 Although I was tempted by those same features, I decided to choose something more basic like the Janome 2212 Sewing Machine. 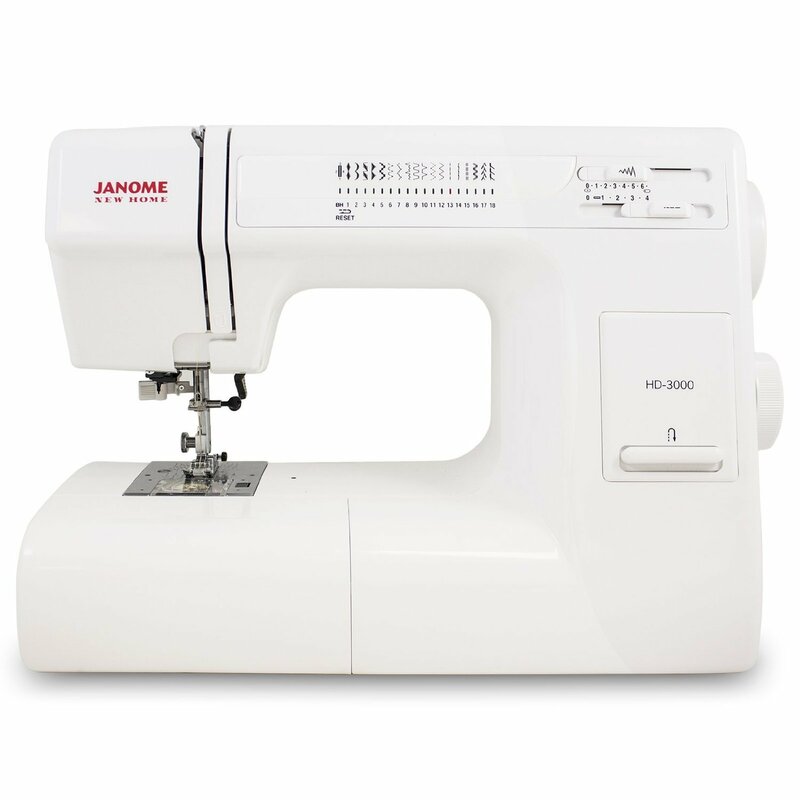 Even owners will attest to its effectiveness as seen on Janome sewing machine reviews online and have recommended it to both amateurs and experts. The beauty of the Janome 2212 Sewing Machine is its simplicity in its design. Because it is not computerized, beginners can enjoy the art of sewing without the complications. Total beginners need to start out with a good basic machine. According to Janome sewing machine reviews, the Janome 2212 is simple enough to operate that won’t discourage beginners from pursuing their passion in sewing. With 12 stitches and 4-step button holes, the Janome 2212 Sewing Machine offers numerous project possibilities including sewing and quilting. Beginners and seasoned tailors alike can make use of blanket, zigzag and blind hem stitches on various types of fabrics. What I like about the Janome 2212 is that you can adjust the stitch length and width. This is especially useful for zigzag stitching leather and denim. 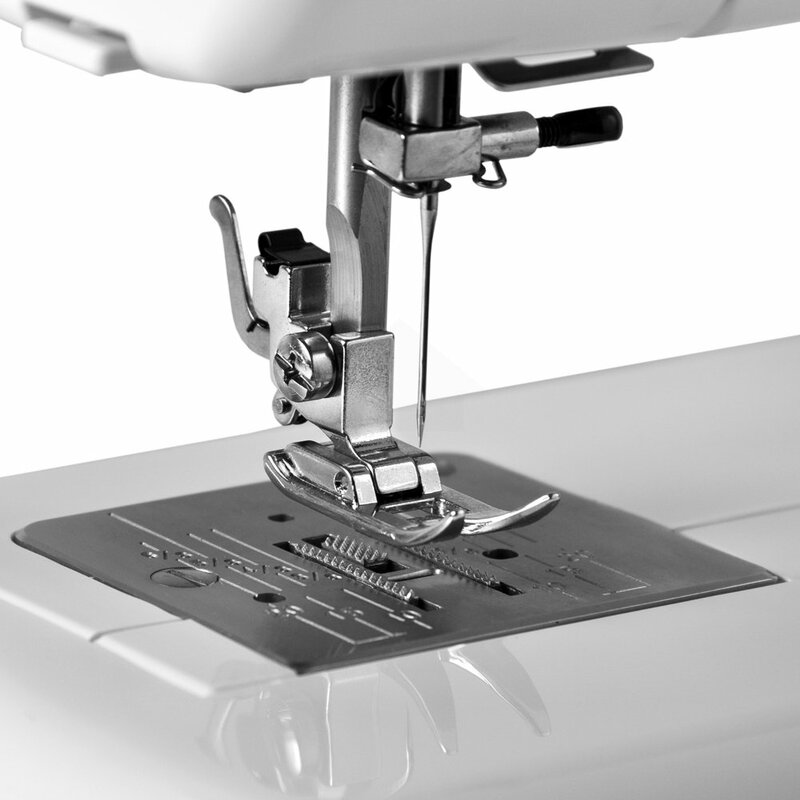 With the Janome 2212 Sewing Machine’s simple design, users are quick to point out the source of thread jams. According to Janome sewing machine reviews, the front loading bobbin system also makes it easier to clear bobbin jams and the vertical position is recommended for free motion quilting. A built-in thread cutter saves time and effort in finishing projects. 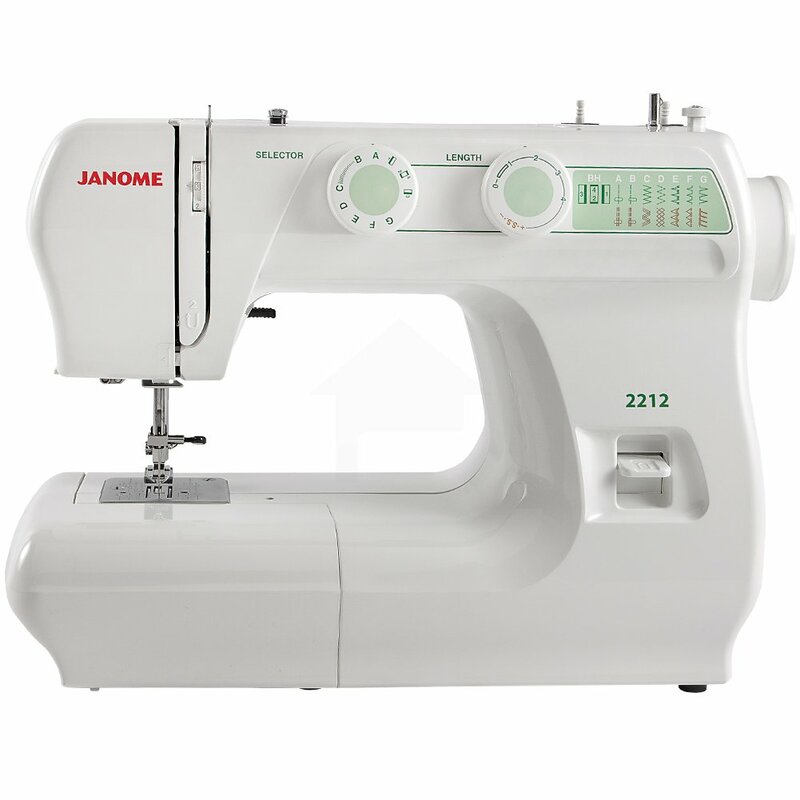 Another advantage of the Janome 2212 Sewing Machine is its affordability. Unlike cheaper units that doesn’t hold up to continuous use and thicker fabrics, this machine has been a household name in quality. Janome sewing machine reviews also state the model’s durability despite its inexpensive price. While it features a foldable carry handle, the Janome 2212 Sewing Machine weighs only 15 lbs. and can easily be transported from site to site. Although there are stitches that feature adjustable length and width, some are pre-set in size. These include the blanket, straight stretch, smocking and rickrack stitches. Because it is pre-set in size, the projects with the Janome 2212 Sewing Machine can be limited to piercing and basic clothing construction. 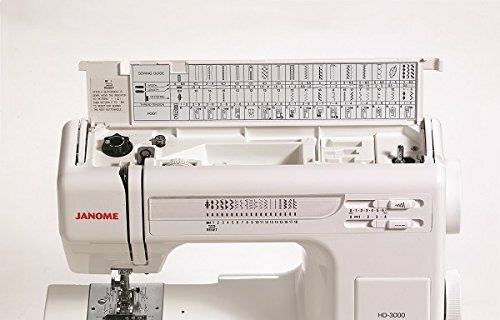 The main problem with the Janome 2212 Sewing Machine is that it is a 110-volt machine and is limited for use in the US only. Although sturdy and efficient, Janome sewing machine reviews tell users to take precaution with too many fabrics. Putting too many layers in at once can jam the needle or thread. 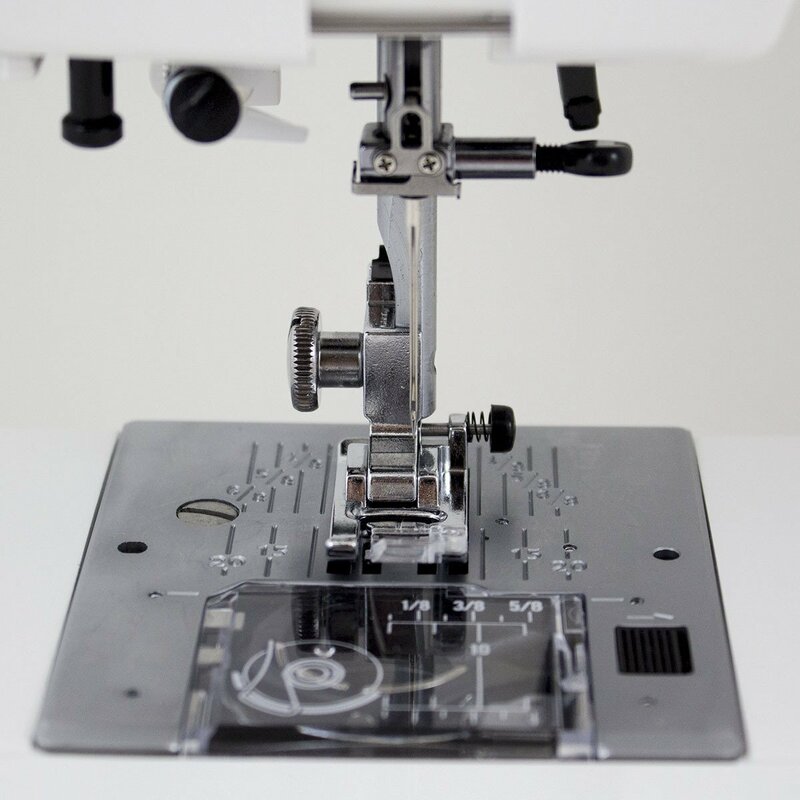 Also, the machine will not work with a generic straight-stitch foot nor with a Janome standard spring load foot and requires the 5mm front load bobbin-style feet or any Janome front-load darning foot. The Janome 2212 Sewing Machine is the ideal model for all types of sewing aficionados, but is the best recommended machine for amateurs and entry level sewers. With 12 built-in stitches and 4-step button holes, the model can take on a range of projects from basic sewing to free motion quilting and even decorative stitching. All in all, the Janome 2212 Sewing Machine is recommended as a go-to apparatus for basic sewing needs. However, advanced sewers may want to consider something with more features to take on more complex projects.